Determined To Beat MS: Cellist Robert Cafaro Plays On! In 2015, cellist Bob Cafaro marked his 30th season with The Philadelphia Orchestra. (Original broadcast, March, 2015) - The Philadelphia Orchestra has over 100 musicians, and as many stories - often inspiring and surprising. WRTI’s Susan Lewis profiles Bob Cafaro, a cellist in the Orchestra since 1985, whose artistry is matched by his determination to live fully, both onstage and off. Susan Lewis: Fit and with a ready smile, Bob Cafaro looks barely old enough to have played under every music director since Ricardo Muti. Nor is there a clue that in 1999, Cafaro was diagnosed with Multiple Sclerosis after suffering severe numbness, loss of vision, and more. Bob Cafaro: I had over 50 lesions in my brain. I was unable to move my hands, I was legally blind...and I was told I’d be on permanent disability. SL: Cafaro began researching stories of people who had beat the odds in different circumstances - from music and athletics, to traumatic events. He developed his own treatment, including meditation and changes in diet and exercise. Six weeks later, he went back to the Orchestra. SL: His lesions disappeared, and his abilities came back, along with his spirit and a continuing appreciation for his Orchestra and its heritage. BC: To me, Muti was the ultimate in charisma, and Sawallisch came in and he was the pinnacle of musical artistry. And then Eschenbach...what a magician as a people person...and if you look at Yannick, you have the combination of all those characters in one package. 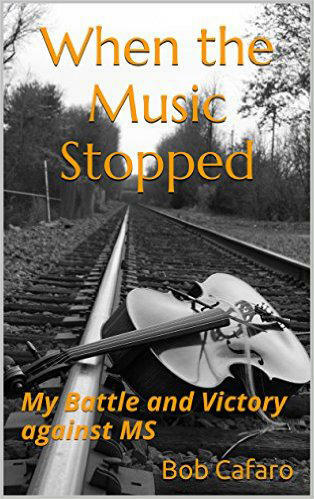 SL: Cafaro also teaches, plays recitals and chamber music, does solo work and volunteer activities, and has written a book on his successful fight against MS. Listen to more of Bob Cafaro's story, as told to WRTI's Susan Lewis.